When you decide to improve or build your own home, one of the first decisions you need to make is whether or not you need an architect. The choice is completely up to you but as a broad rule of thumb, if you need planning permission, then it is likely that you need an architect. 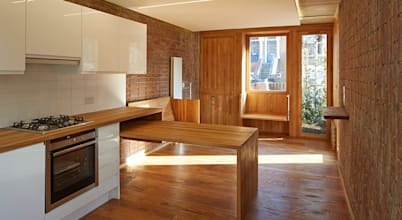 For smaller design tasks, it may be that you don’t need to spend extra money on the services of an architect as you may be able to carry out the work alone. 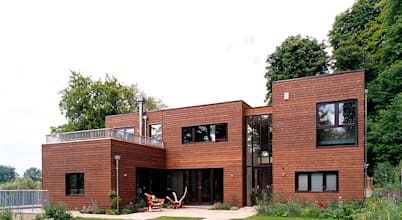 However, if you are adding structures to your home – such as extensions, summer houses or constructing your own home from scratch then consulting an expert is a must-do. Choosing an architect who is reliable and understands your needs can potentially save you money and stress in the long run. An architect can turn your plans and dreams into a reality by working with you to draw up formal designs and diagrams to show construction professionals exactly what the finished project should look like. 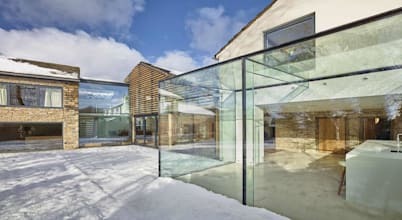 Architects have many techniques which they use to ensure your structure is both perfect for you but also safe. They are able to create 3D visualisations and scale models to help you visualise the finished product. An architect keeps in mind the aesthetics, facilities, and prospective uses in detail without forgetting the overall cost and required upkeep. 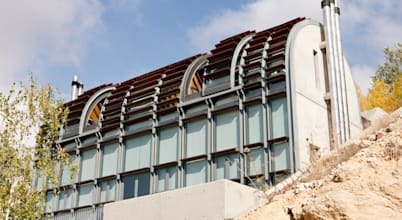 From the very beginning of the project, an architect is not only responsible for the design of a building, but also its interaction with the environment – this can include the construction and energy compliance, as well as how the building with evolve in the future. For expensive and complex design projects, a site manager is vital as their task is to ensure work is completed skilfully and on time. Consulting with the site manager is how an architect checks on their designs, so in order to have a smooth build, site managers are a vital part in the whole process. 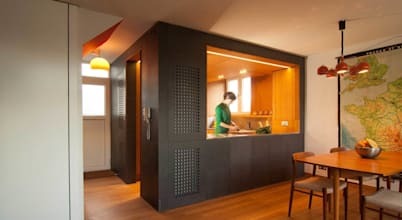 Architects have their own specialities from kitchens to garden work. With homify you’re able to find the right person for you to start work on your dream home. 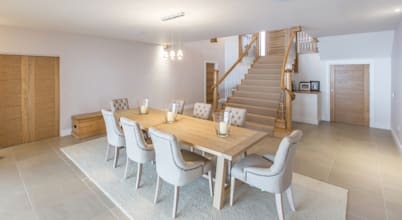 Architectural remodelling refers to projects which renovate existing rooms and create a completely new design by use of fittings, colour schemes and layouts. Remodelling a home, building or other structure often requires large changes, such as moving walls or creating additions. In general, the size of the remodelling job and the value of the house should be a huge factor in whether you need a professional. 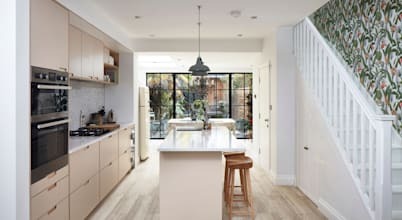 In many cases it is a good idea to bring in architects in order to visualise how a finished room will look, in order to make sure you are happy with the product. 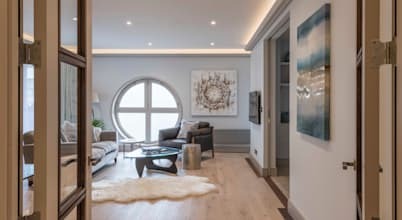 An architect can use their skills and draw up blueprints, hold meetings with contractors, take measurements and study building plans to create a design for a remodelling project—with homify you can discover many ways in which architects can remodel your home. Renovating can often be a brilliant idea, not only to just breathe life into an old property but also to add value to benefit the homeowner. An old and decaying property which has been left for a long time may need a lot of work to bring it back up to standard. In this case, it is advisable to hire an architect who can help renovate the property and keep an eye on the features which may add value. Many homeowners like the idea of achieving a historical effect. 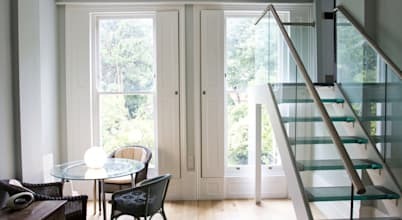 If you choose to work with an architectural practice, they may often have worked on similar projects and so will be able to show you how to add period features without making any mistakes structurally. Nowadays, architects do a lot more than just drawing up plans for builders to follow. A good architect will also consider aspects such as eco-friendliness, landscaping, and the way that structures fit into the lifestyles of the people who will occupy them. To help in these complex tasks, an architect will have access to advanced architectural planning tools—with CGI packages which create 3D visualisations. Architectural visualisations can give you a clear indication of what your home will look like before work begins – this is a great way to avoid expensive mistakes in the long run! How do I find the right architect for my home building project? Choosing the right architect for you can be a long process, but, as you will be working closely with them, it is important to find someone who works best for you. Remember to do your research – check that they are registered with the Architect’s Registration Board and, although it isn’t compulsory for architects, it is also a good idea to check The Royal Institute of British Architects. Asking around is worth doing as many architects find work through word of mouth. Once you have chosen someone, you should ask for references and check out some of their previous work. 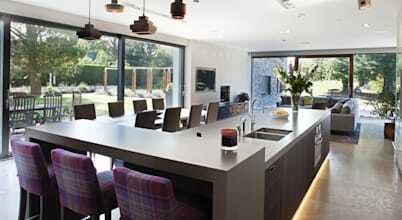 Here at homify, we also make it easy for you to get in contact with skilled architects who are close to you. We aim to offer a one-stop place to find all of the professionals who you will need to complete your home building project. 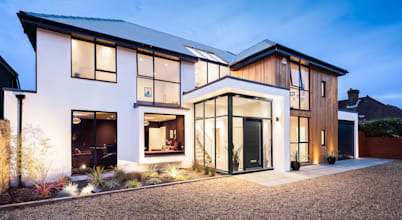 Our directory lists specialist options in every area of home construction and design, along with visualisation experts, specialists in materials like glass, as well as eco-sensitive designers and landscapers. Are large firms better than smaller, boutique architectural firms? To answer this question, you must weigh up the benefits and negatives of each of the types of architectural firms before deciding which is best for you. For example, you need to take into consideration that smaller, boutique architectural firms will often have few jobs at one time so they may be able to devote more time and passion to your project. For larger firms, the positives are that they have many architects, meaning a larger expertise to draw on. What do I need to look out for when choosing an architect? When choosing an architect, it is vital know what it is that you want so that you are able to choose an architectural practice who are able to help carry out all of your decisions with the precise details that work for you. You should check the references of an architect and always look through their portfolio to make sure they are a compatible fit. Although this may all sound obvious, sometimes architect firms will take on work that they are not equipped for. So, browse the homify directory to find the perfect firm for you. The cost of hiring an architect will vary with the part of the country, the current economy, the individual practice, and even your success at negotiating. Most architects work for an hourly rate or a fixed fee based on a percentage of the construction costs. You may find that rates for remodelling projects can be higher due to the unpredictability of the hours and work involved. As architects are professionals, their work is not cheap, but it is worth keeping in mind that hiring someone skilled can actually save you money in the long run. Cheap architects may be hard to come by, but keeping a look out both online and around your neighbourhood, is a great way to know exactly how much you should expect to pay. 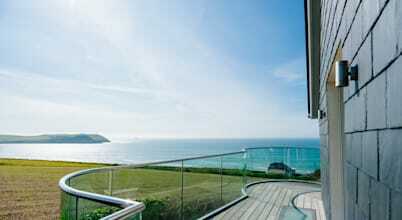 With homify you can contact a suitable architect for your home design in a radical new way. Using the directory, you can find the right firm and even contact them for a consultation in person, over the internet, or by phone. homify provides contact details, maps showing where the architect is located, and Facebook links and reviews from previous clients so you can thoroughly check them out and know exactly what to expect. The Architecture Registration Board maintains a register of each architect that has received formal qualifications. They also provide support to members of the public who feel they have been wronged by architects. 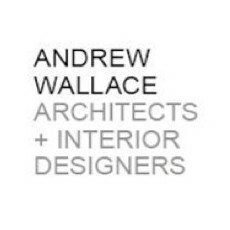 An interior architect works on the safety, function and aesthetics of the inside of a building, as the name suggests. These professionals can help you with creating your interior dreams come true. 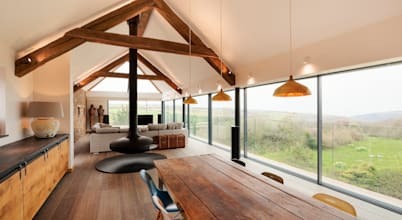 If you need to go through the planning office for your build, then you are likely to need an interior architect to make sure that everything runs smoothly. 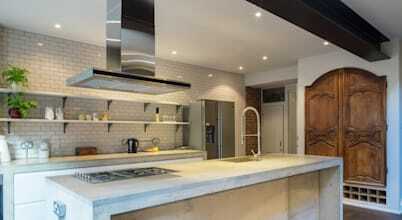 The general contractor is a manager and usually also a tradesman with a lot of experience in homebuilding. 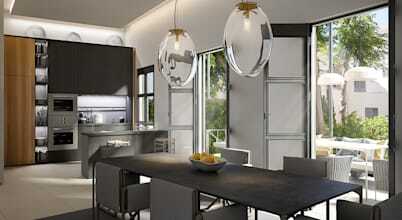 They are employed by the client on the advice of the architect, engineer or the architectural technologist. It is also possible for the homeowner to work as the manager themselves, however, if you have little experience or time to give to your project then it is advisable to you hire a professional to make work easier. A general contractor is responsible for the overall coordination of the whole project which can be a huge amount of work! Your achitect may be able to help you find a reliable general contractor. 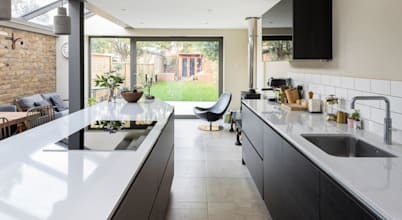 The kitchen is usually one of the most important rooms within a home, in order to make sure you are happy with yours; it may be worth hiring a kitchen planner. With homify it is easy to find an efficient and personal service, with professionals who are able to guide you through the whole process and even install your perfect kitchen. 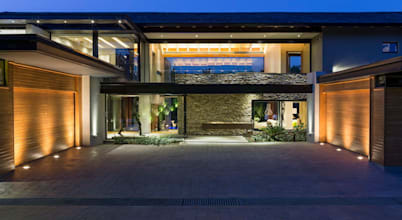 Designers can help you create a dream place to live, once your home is built. Everything from Swedish tea-towels to innovative surface ideas can be found on the homify website!